There are several different ways of selecting data ranges, and this guide will take you through the fundamentals of following methods. 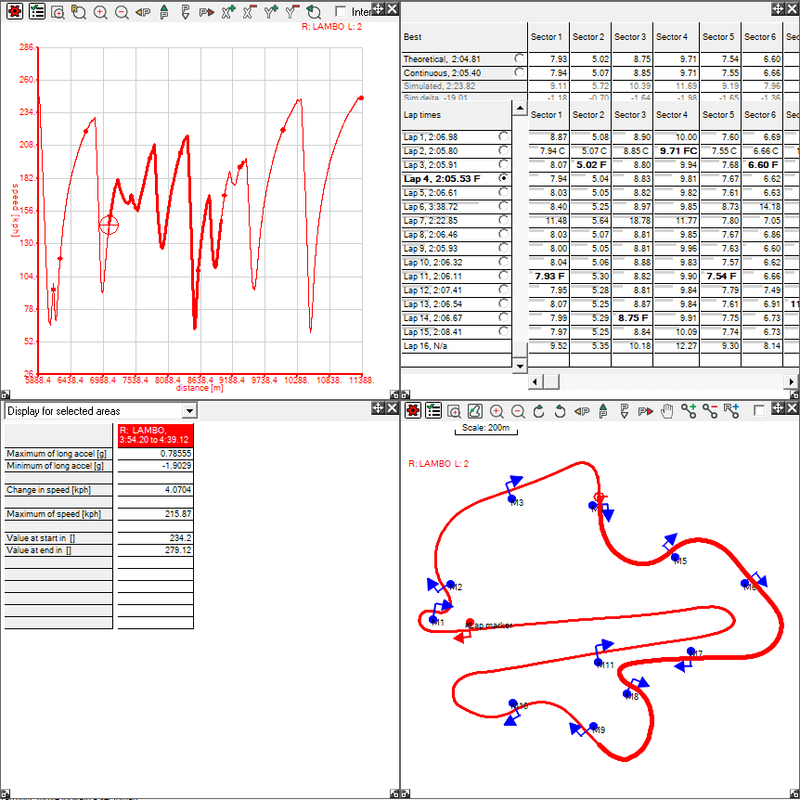 In all the following examples, only four windows will be shown, the XY Graph, the Summary Statistics, the Lap And Sector Times and the Track Map. Note that the corresponding range on the XY Graph has been highlighted, and also that the summary statistics now displays data for the highlighted area. Also note that even though the highlighted section overlaps Sector 5 to 9, it is not highlighted on the Lap And Sector Times table. The results are the same if you select an area on the graph through the same method. Note that the Summary Statistics now displays data for all the highlighted ranges. 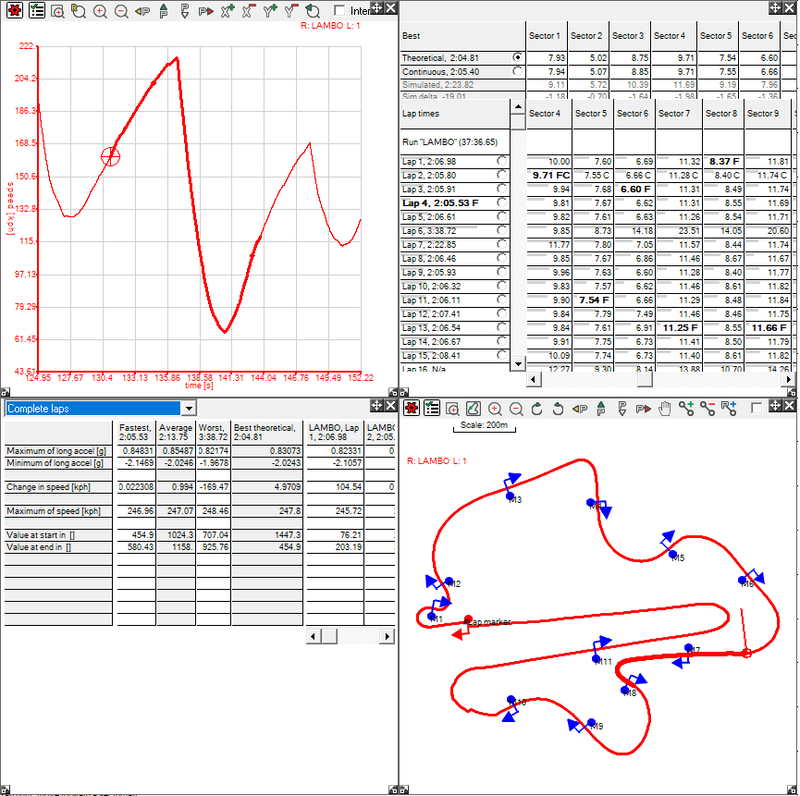 As this data was selected on the track map, the relative data has been shown on the XY Graph. As the second lap was slower to start, then the highlighted section is at a later time relative to the start of the lap. 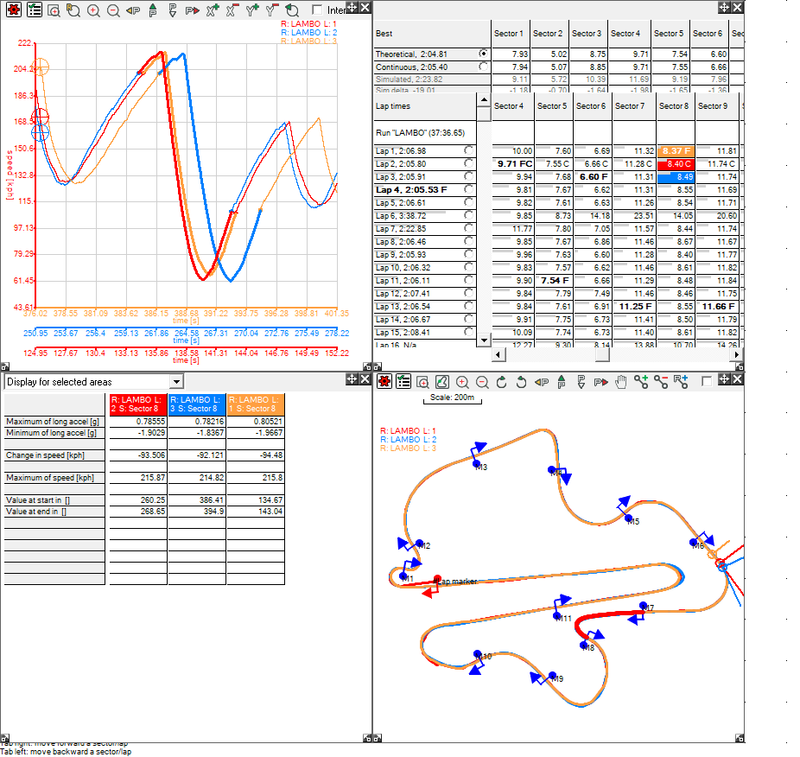 Note that the sector has been highlighted on the Track Map and the sector with the relative times has been highlighted on the XY Graph. For this example only the lap that is being looked at has been displayed. Please note that in this case, the fastest lap is the same as the fourth lap in this case. 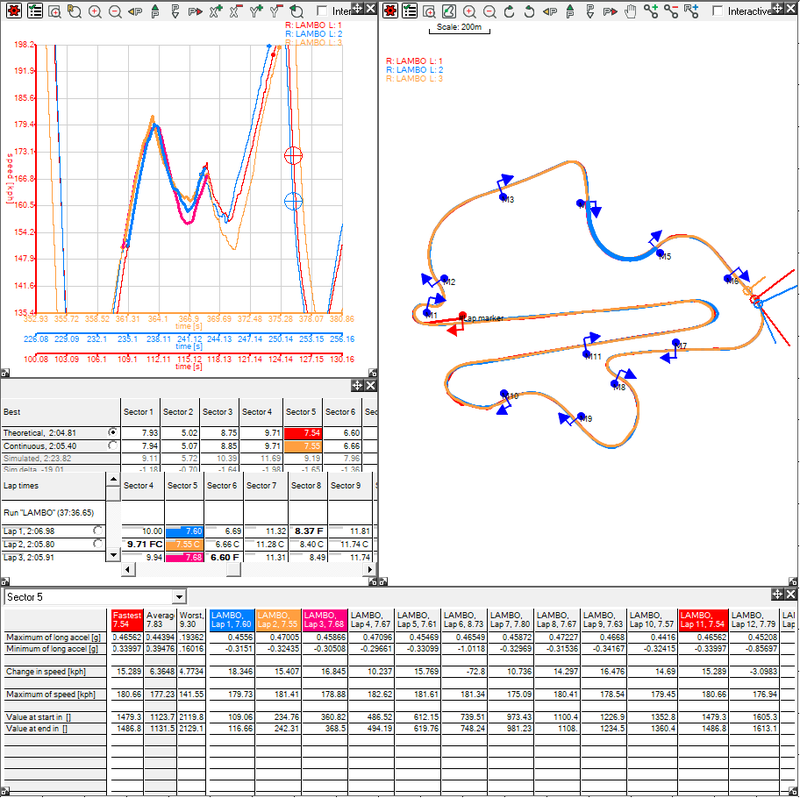 The Summary Statistics window will display data for all laps for all runs, although the window must be enlarged to see these. You can highlight multiple ranges on all the tables that you can highlight data on. Please note that on the Lap And Sector Times table and the Marker Based Measurements you an only select multiple ranges from the same column. 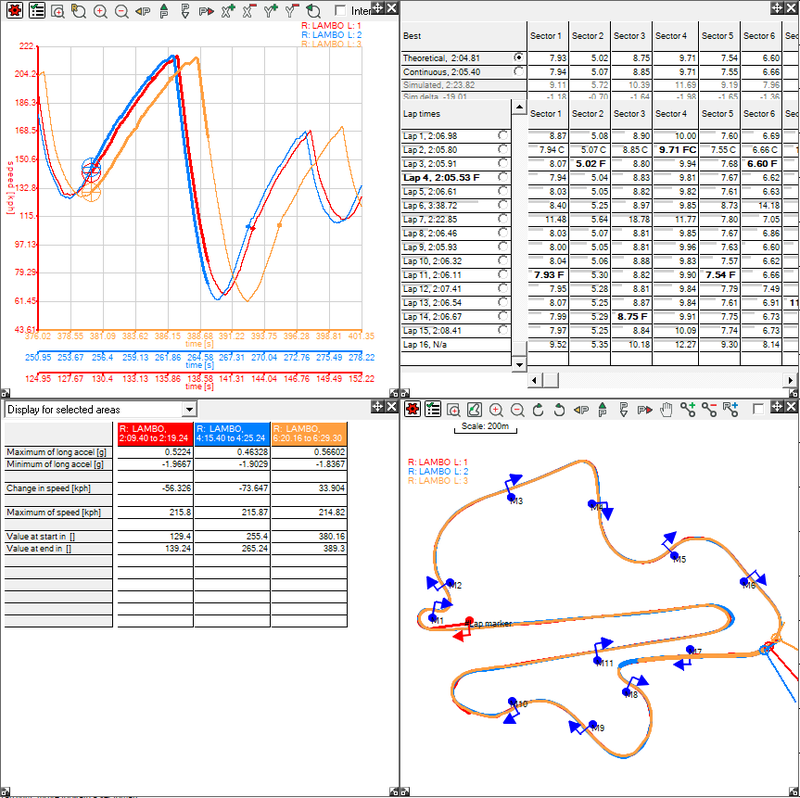 In these examples, once again, the XY Graph and Track Map have been set to show multiple traces. Note that the traces and cells are colour co-ordinated. You can adjust these colours to your own preferences, to learn how to do so, click here. 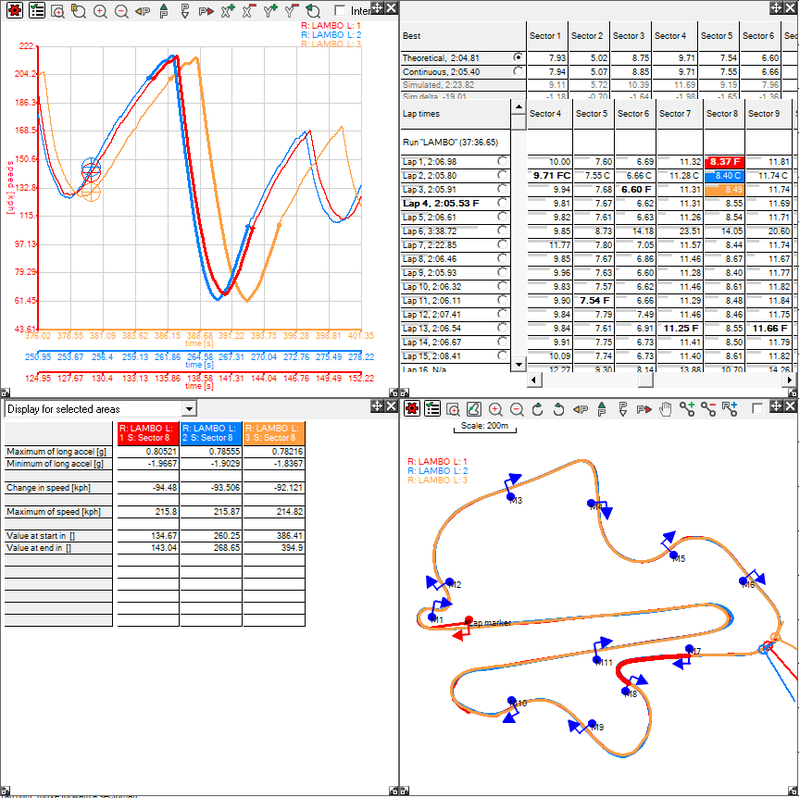 Note that the sector is colour co-ordinated on the Lap And Sector Times Table to match the colours on the Summary Statistics table, and the sector has been highlighted on both the Track Map and the XY Graph.